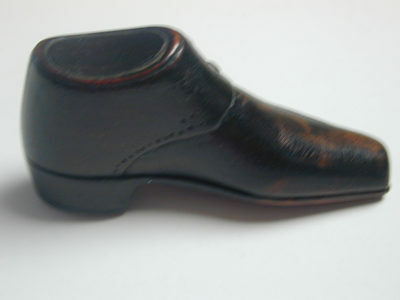 Shoe shaped snuff box with good patina. 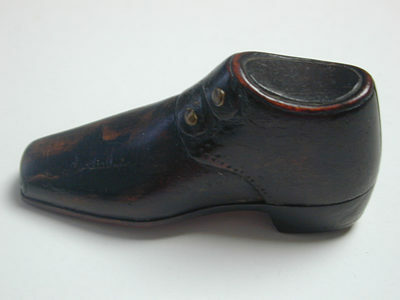 Old style shoe with 2 straps that button across the ankle. The buttons are 2 dome brass tacks. The detail on the top is picked out by tiny dots. 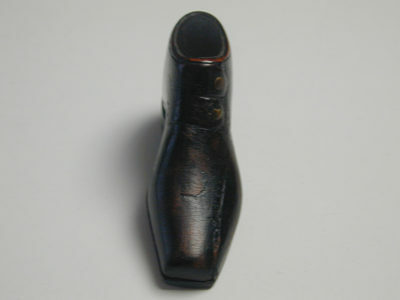 The sole is held in place by a friction wege carved onto the inside of the sole. 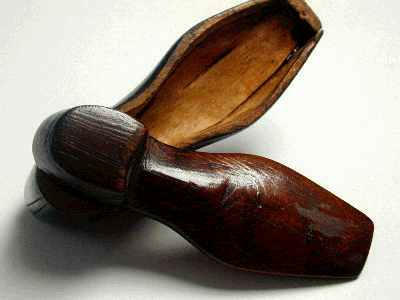 There is a crack on the left top of the shoe that runs from the sole for over an inch. This has been glued and reinforced on the inside by thin peice of wood. Much better than it sounds and an unusual mechanism. Not a match box.